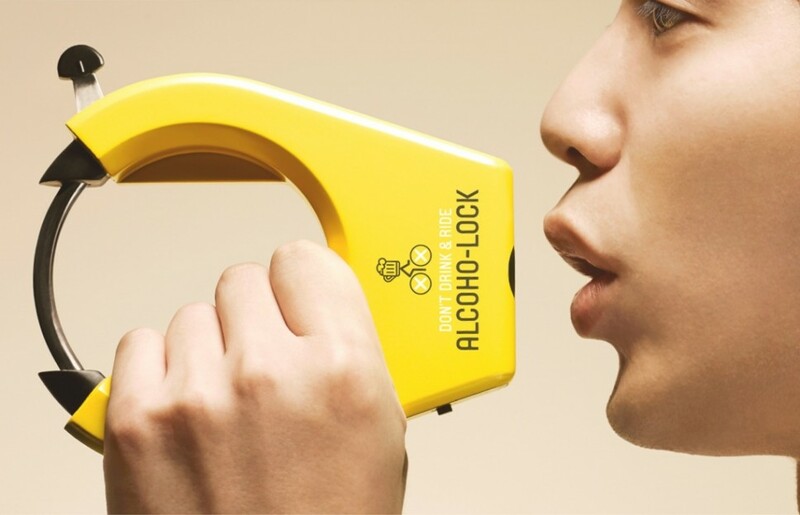 In an effort to curb a popular (albeit illegal and dangerous) pastime of urban youth, a Japanese company has given us the breathalyzer bike lock. 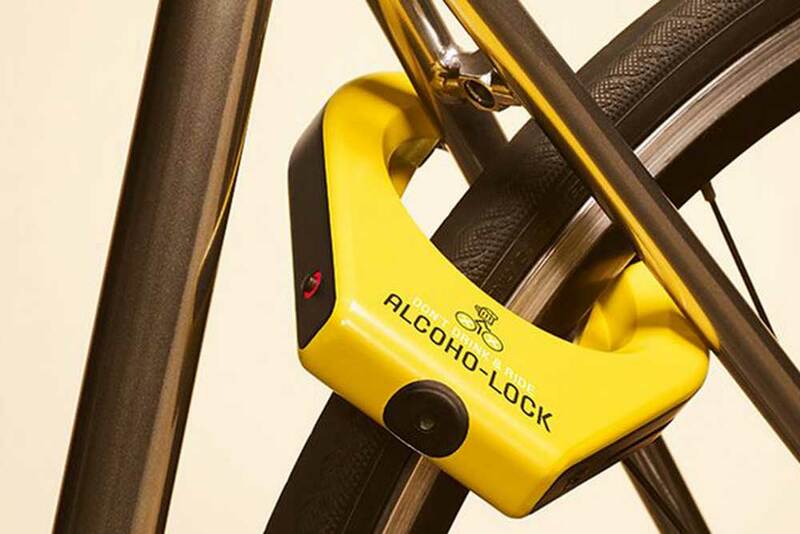 The Alcoho-lock simply loops through your frame and wheel to render the bike un-ridable. In order to unlock it you have to blow into a small hole at the base of the lock. And it’s not just that the lock won’t open if you’re too sloshed. It actually sends a notification to a predetermined partner that you are attempting to unlock your bike while inebriated. Your partner or friend then has to unlock your bike from their phone in order for you to ride. Before you scoff at the risks of drunk biking, note that in many states riding a bike while drunk can be penalized under the same ordinance as drunk driving. No, it’s not commonly enforced, but drunk biking can also, obviously, be dangerous. This product is developed specifically with riders in Japan in mind. Riding under the influence in Japan is strictly forbidden and carries a maximum penalty of five years in prison and a hefty $8,000 fine. When you take that into account, barring yourself from riding drunk is a pretty good idea. The lock is currently available for pre-order with no word on when or if it will be available to the greater public. Be prepared to shell out a hefty amount for your peace of mind as the lock will cost around $300.